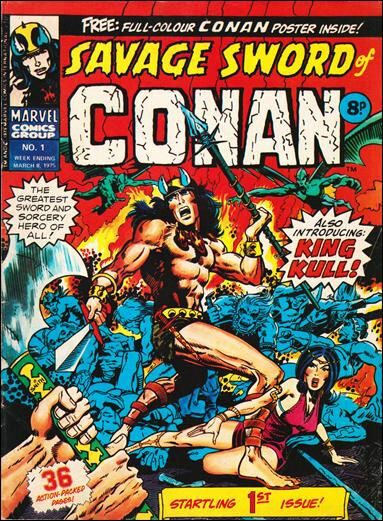 Comments: Reprinting US Savage Sword of Conan and Kull comics, Marvel UK's weekly Savage Sword of Conan comic was launched on 8th March 1975. Poor sales saw it cancelled after 18 issues on 5th July 1975 and merged into The Avengers a week later. A little over two years later, Marvel UK tried again with Savage Sword of Conan, releasing a new volume by that name, this time as a monthly title.